There are many Qi wireless chargers on the market these days. They have become very affordable, so if your phone supports the feature, you really should buy one. No longer will you need to fiddle with plugging a cable into your phone -- especially tedious when you are exhausted and just want to fall into bed. Before you purchase a wireless charging pad, however, you should make sure you are getting one that is high-quality. I suggest looking for a reputable brand that does not have an integrated cable. Instead, you should target one with a removable cable -- preferably USB-C. The other thing to look at? Wattage. Not all pads are created equally, and depending on your phone, you may get faster charging speeds from a pad with higher watts. Today, Satechi launches a wireless charger that seemingly checks all the boxes. 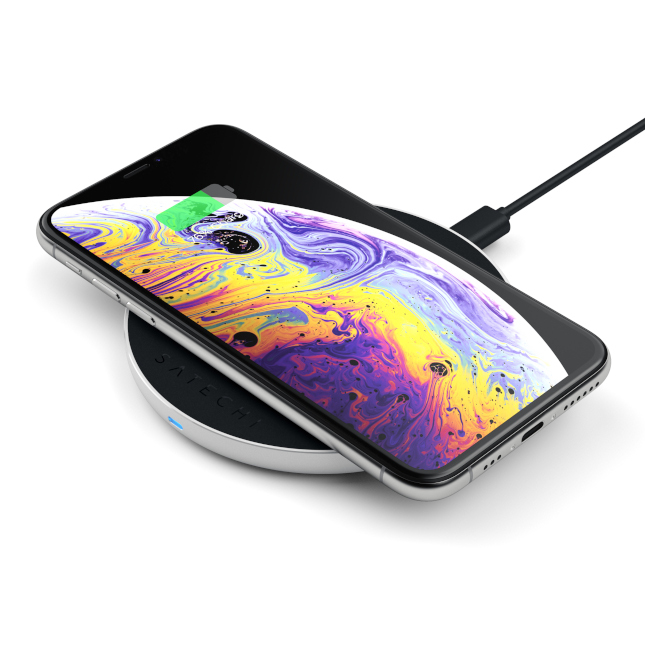 As the name implies, the "Aluminum Type-C PD and QC Wireless Charger" is made of aluminum, meaning it should be durable while also being very attractive. Do looks matter? Absolutely. Look, the charger will be on your dresser, desk, table, or nightstand -- it should be presentable. More importantly, it supports up to 10W for quick charging (QC), meaning if your phone supports such a thing, you can juice up even faster. True, plugging a cable into your phone will still charge quicker, but still, it is nice to speed up the process when taking advantage of the convenience of wireless. And don't worry about burning out your device -- this charger features over-temperature protection, meaning it is totally safe to use. It even has "foreign object detection," which Satechi says protects against metal objects damaging it. An LED light on the front lets you know when charging is successful -- hopefully it isn't too bight. 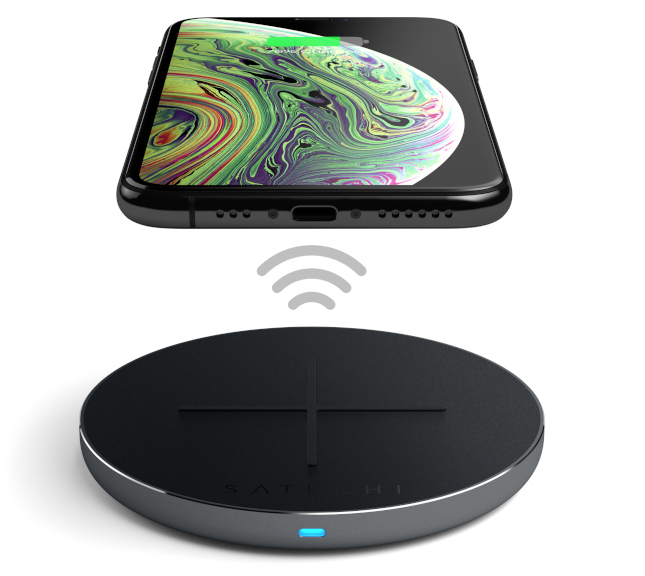 The Satechi Qi-Certified Aluminum USB Type-C PD and QC Wireless Charger is available in two colors -- silver and space gray. It can be had on Amazon here for $44.99. Please note: an AC adapter is not included.